Naturopathy is a natural drugless alternative health approach that I use in my energy healing practice. Food, air, relaxation, sun, sleep, and herbs are adapted to the best combination for each individual case. Naturopathy is a large area of study that includes many specialties with the same goal – to increase the vital life force. 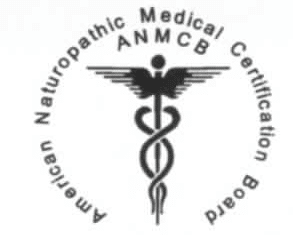 Traditional Naturopaths (TN’s), Naturopathic Doctors (ND’s) or Doctors of Naturopathic Ministry (NDM’s) are not Medical Doctors (MD’s). R Leah Moon, is not a medical doctor nor has she represented herself as such, and does not diagnose, treat or prescribe. Naturopathy is a drugless healing approach to health that teaches, inspires, and subsequently promotes growth of wellness skills. [i] All the means of naturopathy such as food, air, relaxation, sun, sleep, and herbs are natural and are adapted to the best combination for each individual case. [ii]Naturopathy is a large area of study directing itself across many specialties always with one goal: to increase the vital life force. 1. The body must have a healthy blood stream, for without this the body cannot have a healthy cell structure…. What flows in the arteries determines whether the body’s needs can be met. 2. The blood must circulate rapidly enough to supply cell structures with all the necessary building elements. It must circulate fast enough to give the body the opportunity to build and repair as rapidly as is required. What is the cause of disease? How do people get well? What do we need to know and do to return them to wellness? Bernard Jensen, DC, ND, PhD, a naturopath and “the father of modern iridology,” describes a foundational way of thinking that underpins and flows throughout naturopathy’s many branches of healing methods: “Theory amounts to very little if we cannot find a way to back it up by practical means. If theory and practice do not work hand-in-hand, then the theory must be changed.”[vi] The intent of naturopathy is simple, direct, and without distraction for the practitioner or client—wellness! A single goal for all. Naturopaths educate others in natural and organic methods to encourage maximal health with optimal wellness and longevity. The naturopathic methodology is directed toward holism with emphasis on sustaining wellness while actively engaging in prevention of disease. This document is a reflection of my journey and path. As in any area of specialty and study, human nature seems to dictate and provide a set of diverse opinions. These opinions are certainly worthy of investigation in another venue and time for those interested in debate and comparison. My interest and intention are one of information, education, and support for those wishing to know more about what will best serve them on their life journey. It is important to acknowledge there are many different approaches and equally important to be thankful for the many options available to us. [i] Robert J. Thiel, Combining Old and New: Naturopathy for the 21st Century (Warsaw, IN: Whitman Publications, 2000), 83. [ii] Robert J. Thiel, Combining Old and New: Naturopathy for the 21st Century (Warsaw, IN: Whitman Publications, 2000), 8. [iii] “Programs,” Trinity School of Natural Health, accessed August 9, 2010, http://trinityschool.org/programs.php?id=2 (page deleted). [iv] Jensen, The Science and Practice of Iridology, 43. [v] Bruyere, Wheels of Light, 22. [vi] Jensen, The Science and Practice of Iridology, 43. [viii] “Trinity College Catalog,” last modified September 9, 2012, accessed March 14, 2013, http://trinityschool.org/pdf/TrinityCatalog.pdf, 5. “Trinity College Catalog,” last modified September 9, 2012, accessed March 1, 2013, http://trinityshcool.org/pdf/TrinityCatalog.pdf, 10.